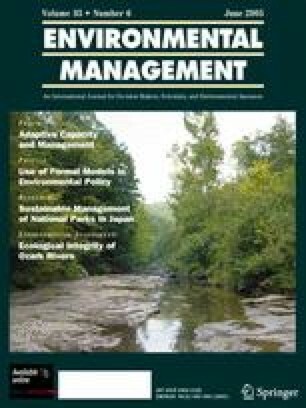 This research surveyed human-impacted littoral forests in southeastern Madagascar to determine (i) how forest structural features, indicative of human impact, are related to total, utilitarian, and endemic tree diversity; (ii) the distribution, abundance, and demographics of tree species groups (i.e., total, useful, endemic) across the landscape; and (iii) the amount of basal area available per human use category. We also use these data to consider issues of sustainable use and how human impact may influence littoral forest tree community composition across the landscape. Within 22 transects of 400 m2 each, we recorded a total of 135 tree species and 2155 individuals. Seventy-nine species (58%) were utilitarian and 56 (42%) were nonutilitarian species. Of the 2155 individuals, 1827 (84%) trees were utilitarian species. We recorded 23 endemic species (17% of the total species) and 17 (74%) of these were utilitarian species. Basal area was significantly correlated with Shannon Weiner Index values for total (r = 0.64, P < 0.01), utilitarian (r = 0.58, P < 0.01), and endemic tree diversity (r = 0.85, P < 0.01). Basal area was significantly correlated with the Simpson’s index values for the endemic species (r = 0.74, P < 0.01). These correlations suggest that endemic tree species, of high global conservation value, may be the species group most influenced by changes in forest structure. Utilitarian species constituted 84% of the total basal area. The use category contributing the highest amount of basal area to the landscape was firewood. The results presented herein demonstrate that the landscape of southeastern Madagascar, commonly perceived as degraded, retains high value for both global conservation purposes and for local livelihoods. Thus, valuable opportunities may exist for developing conservation incentives that leverage both global and local conservation needs. The DEFRA (Department for Environment Food and Rural Affairs) Darwin Initiative (project number 162/9/006) supported this project. The authors would like to thank QIT-Madagascar Minerals for in-country support and assistance; Christian Stamm, Ramesy Edmonds, Lalaina Andriamiharisoa, Andry Rabemanantsoa, and Emmanuel Randriambinintsoa for long hours of field survey work; and Clement Sambo for providing the list of utilitarian plant species. The authors would also like to thank Paul Smith and Aaron Davis of the Royal Botanic Gardens, Kew, for their assessment and work on the congruence between the vernacular and Latin names. The authors would also like to thank James Watson and the journal reviewers for constructive comments on an earlier version of this paper. GPS positions could not be obtained for two of the transects (S9.3 and S7.2). Latin names were determined using voucher specimens from Kew gardens and during QMM’s botanical studies conducted by Missouri Botanical Gardens. Latin names were not available for some species. Only the utilitarian species recorded during ground surveys in 2001 are listed here. a The priority status of the species has been defined by Lowry (2001). Priority 1 species are presumed to be endemic to the mining sector; Priority 2 species are presumed to be endemic to the littoral zone; Priority 3 species are presumed to be endemic to the southeastern region of Madagascar; Priority 4 species are presumed to be endemic to the island of Madagascar.